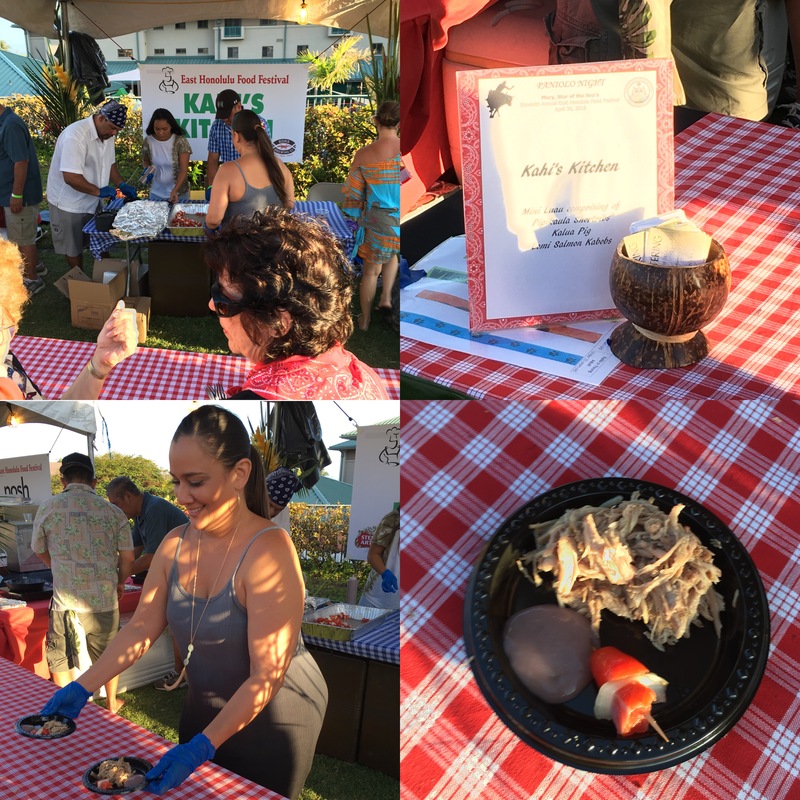 The Hollywood Press Corps had the pleasure of attending the 11th annual East Honolulu Food Festival was held at the Star of the Sea Church and School on April 30th from 5:30 p.m. to 9:30 p.m. They were host to nearly 2000 islanders and their guests who were invited to taste dishes from More than 20 chefs and restaurants are participating including: A Cup of Tea, Bellini Bistro & Bar, Big City Diner, Café Julia, Da Spot Health Foods and Juices, Dave & Busters, Gourmet Goods & Sekiyas, Great Harvest Bread Company, Il Gelato, JJ’s Bistro and French Pastry, Kahala Nui, Kahi’s Kitchen, Kakaako Kitchen, Kona Brewing Company, Maile’s Thai Bistro, NOSH Hawaii, Organic Surfer Chef, Panda Express, Romano’s Macaroni Grill, and more. 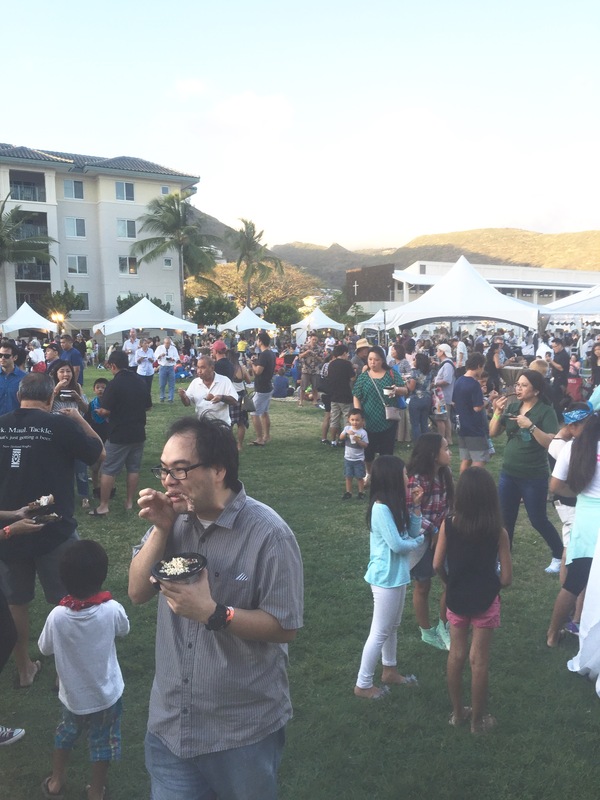 Even wine enthusiasts were taken care of by Young’s Market Company and Kona Brewing Company who provided bottomless wine and spirits. 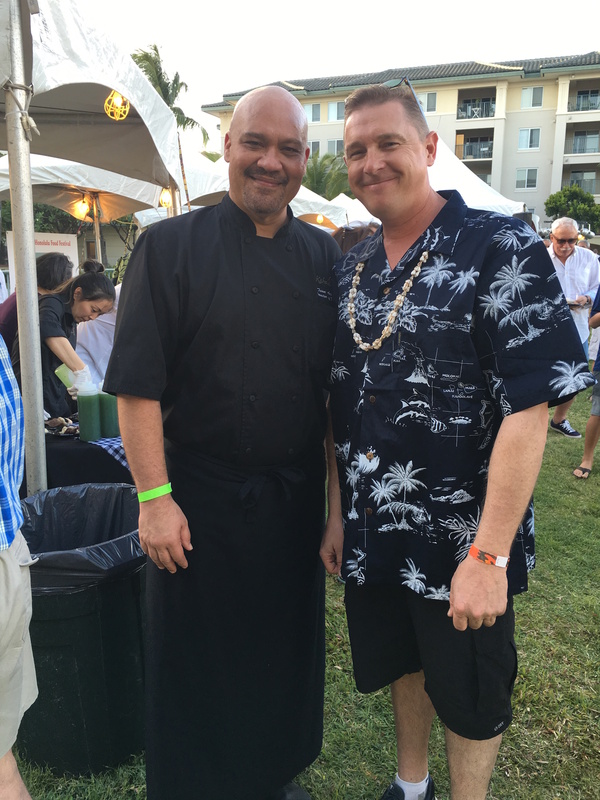 Each Chef prepared delicious signature dishes such as Mongolian rack of lamb (Kahala Nui), Chef Russell Siu’s (Kakaako Kitchen) cowboy chili and nachos, Big City Diner’s kalua sliders with their famous BBQ sauce and pineapple cole slaw, and more. The school grounds were beautifully decorated with white tents and checkered table clothes. Each patron wore their best “cowboy” outfits and those who didn’t come prepared were offered a bandana to wrap around their neck in old western fashion. This year’s theme, “Paniolo Night,” featured fun and energetic entertainment by Dita Holifield’s Hillbilly House Band and Kona Winds. The dance floor was packed with dancers of all ages and sizes. In addition to the amazing food, drinks, live music and dancing, there were free games and rides for keikis, and a silent auction that included travel/hotel packages. Proceeds from the Food Festival will go to the Star of the Sea Youth and Homeless Ministries and provide students with classroom smart boards, playground equipment, and new computers. 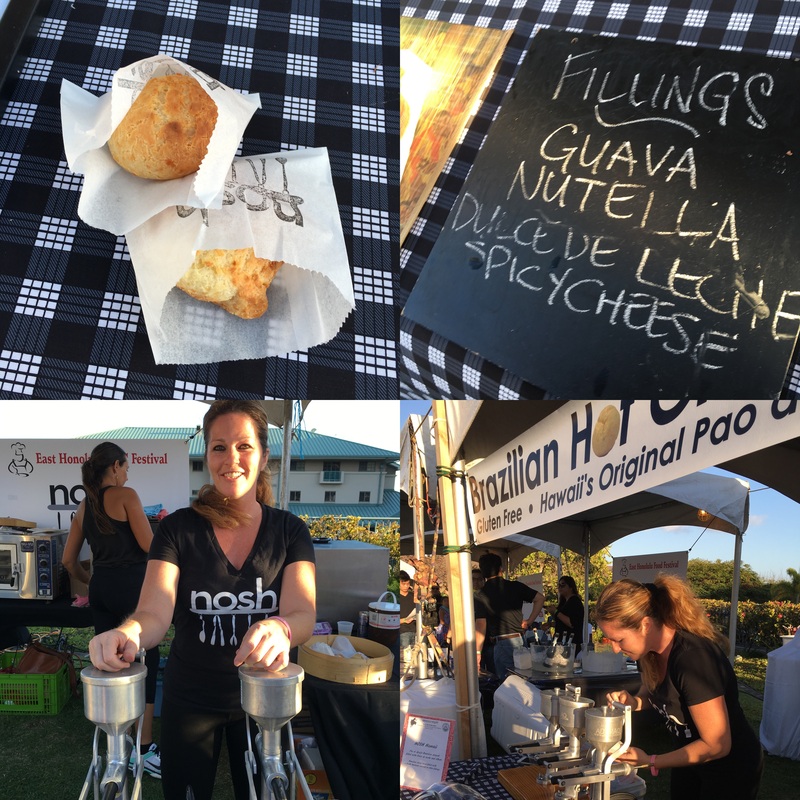 It was a magical evening with fabulous food, lots of wine and spirits, and wonderful people gathering together from around the island and a great way to taste a few of the local favorites while supporting a worthy cause.